We arrived at Suwon, our residence for 4 nights, a little after 11am. Hubby was able to grab a raspberry roll for our birthday girl. After lunch and a simple celebration, we rested for awhile before we started the stroll. It was 4pm when everyone was up and all set to brave the freezing temp. 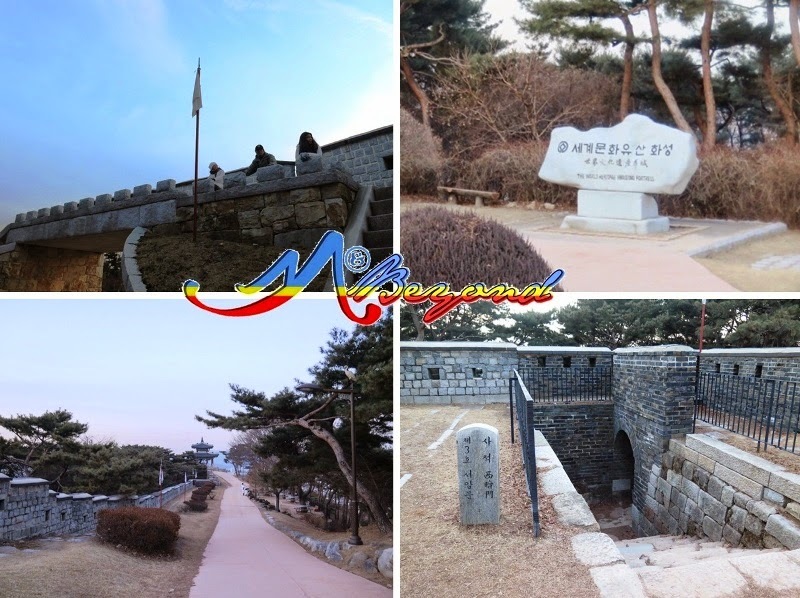 We’re bound to Hwaseong Fortress and unknown to us, we’re going there by foot. 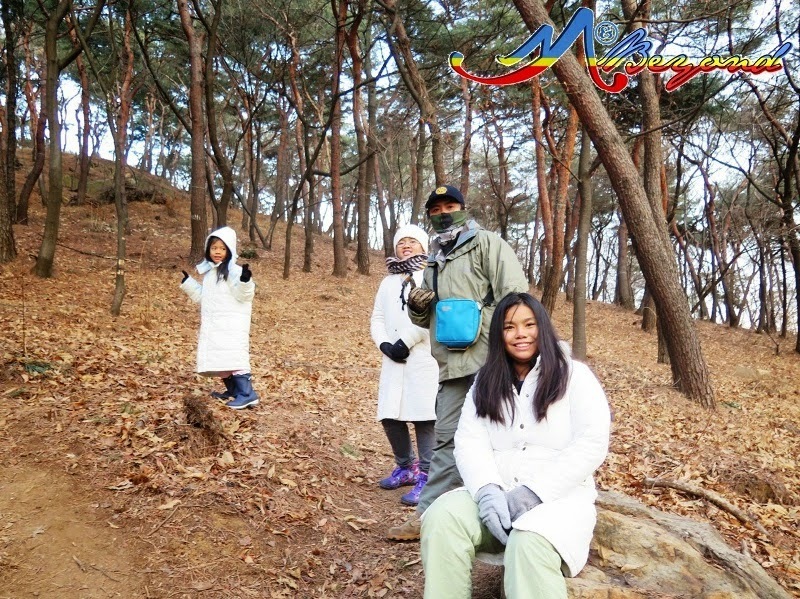 We trekked for nearly an hour where we passed by Gyeonggi Provincial Government and had a short hike by the woods. I was surprised not to hear a whinge from the kids; either they were busy sniffling under the -7deg breeze or were amazed by the scenery. 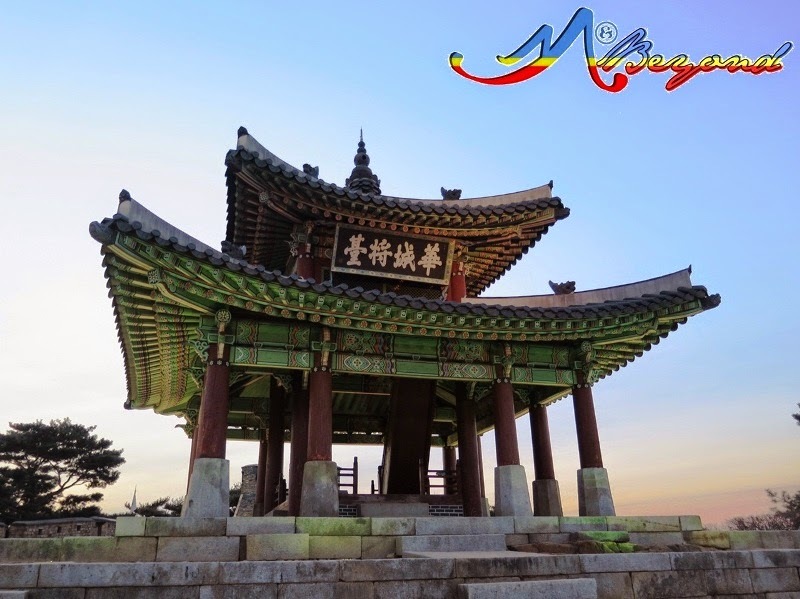 According to the Visit Korea website, the Suwon Hwaseong Fortress was built by King Jeongjo in the latter part of Joseon Dynasty as a show of the King’s filial duty to his father and to build a new pioneer city with its own economic power. 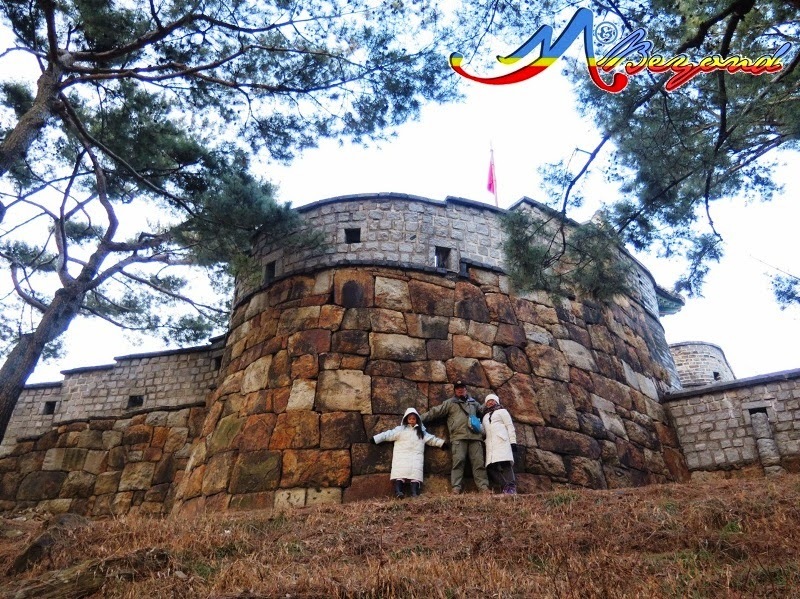 A UNESCO World Heritage Site with a total of 5.52km fortress wall made of stones and bricks with holes in between just big enough to fire guns, arrows or long spears in case of an attack. 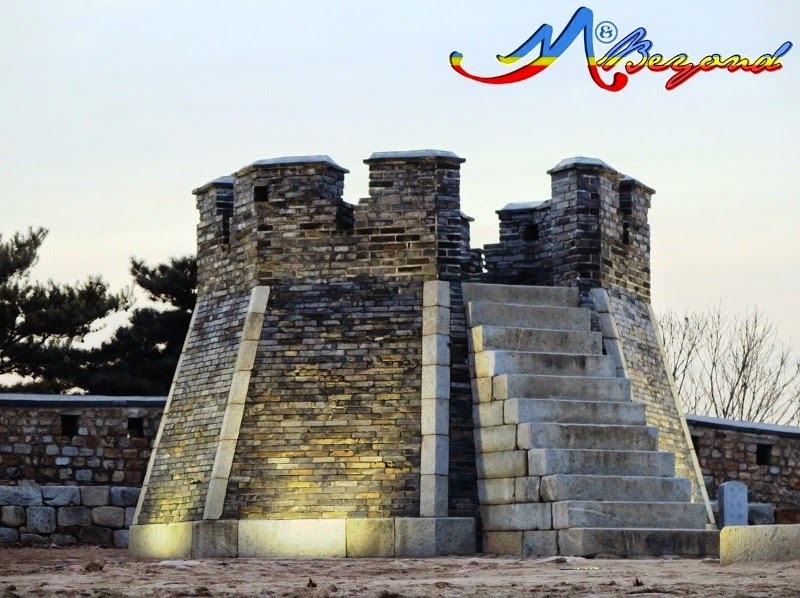 It has four gates each facing the cardinal directions and a stream called Suwoncheon that flows through the centre. 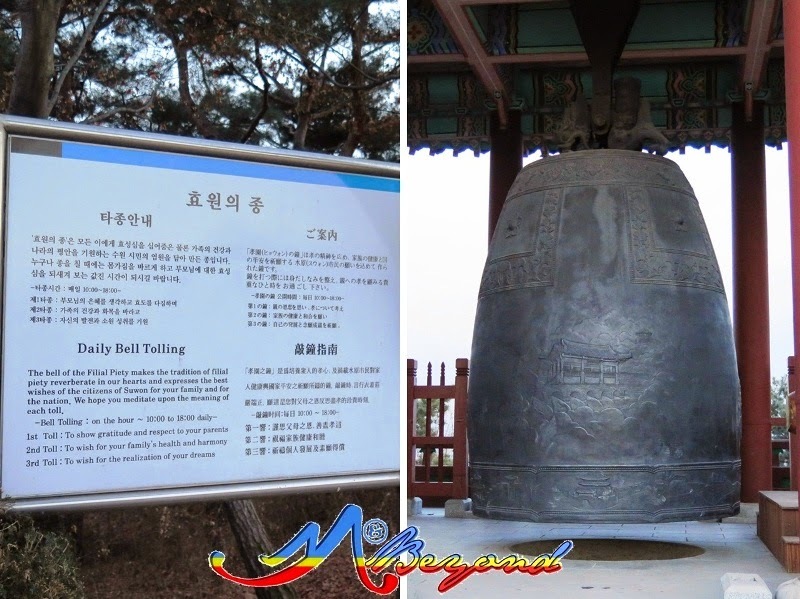 The west side for the fortress houses a giant bell called the Bell of Hyowon, for Filial Piety, with a traditional tolling. The 1st toll means to show gratitude and respect to parents, the 2nd to wish for your family’s health and harmony and the 3rd, to wish for the realization of our dreams. 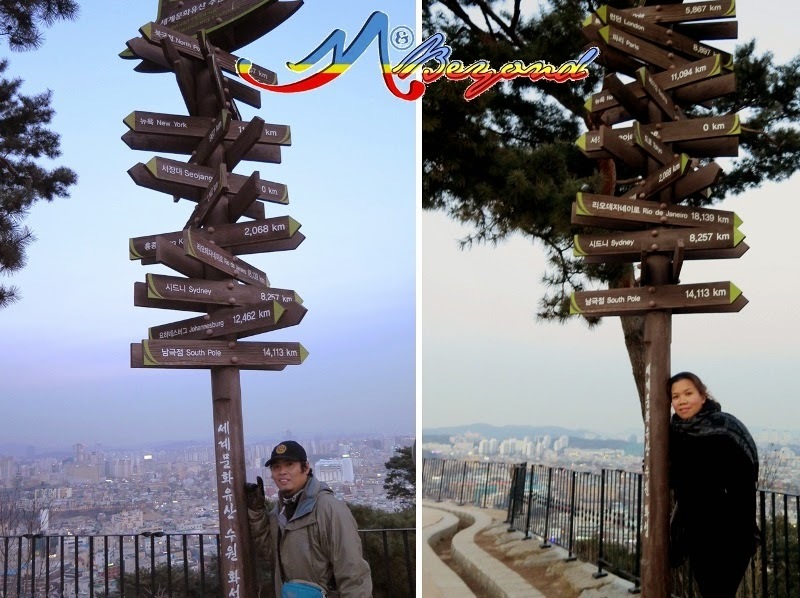 We reached the highest point of the fortress wall at the summit of Mt. 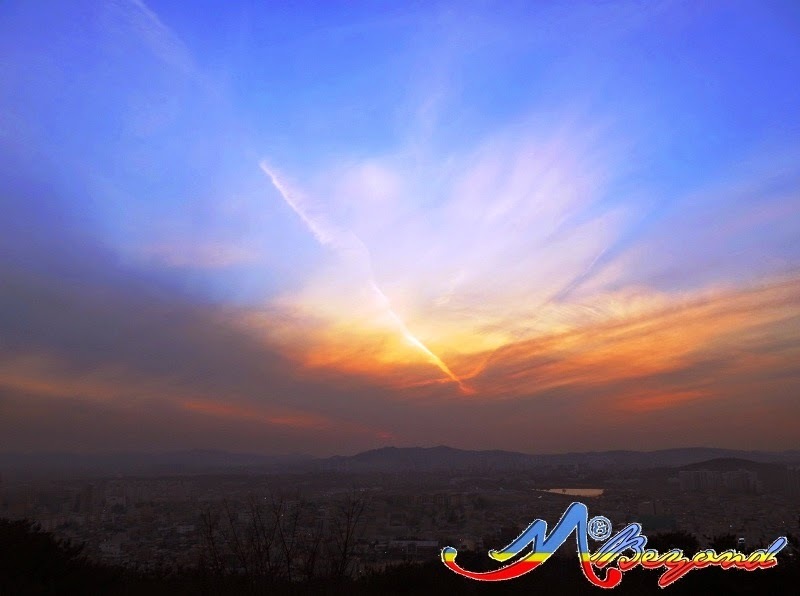 Paldal with Seojangdae and the Seonodae as the notable landmarks. The summit that used to be a great viewpoint of the overall happenings in the fortress, now has a great view of the city. 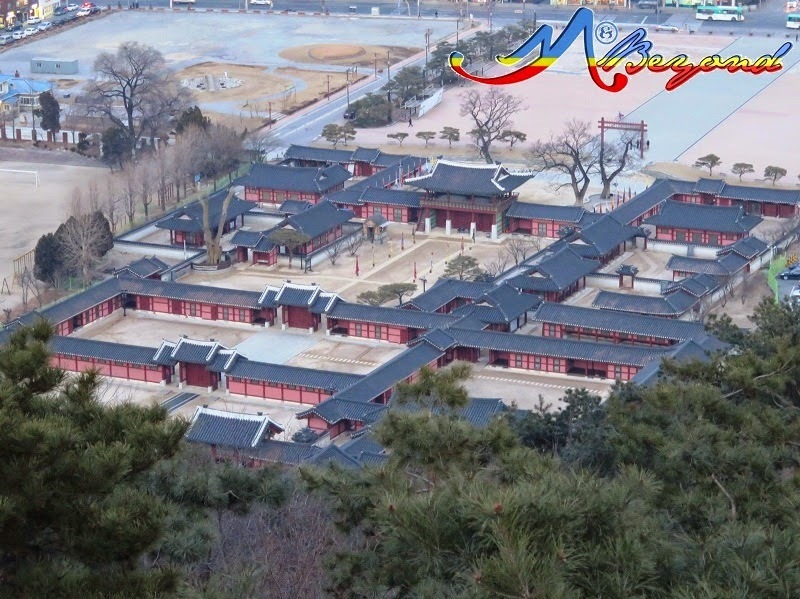 Also visible from above is the Hwaseong Haenggung, said to be the palace where the king used to stay when he travel at war times or visit tombs. 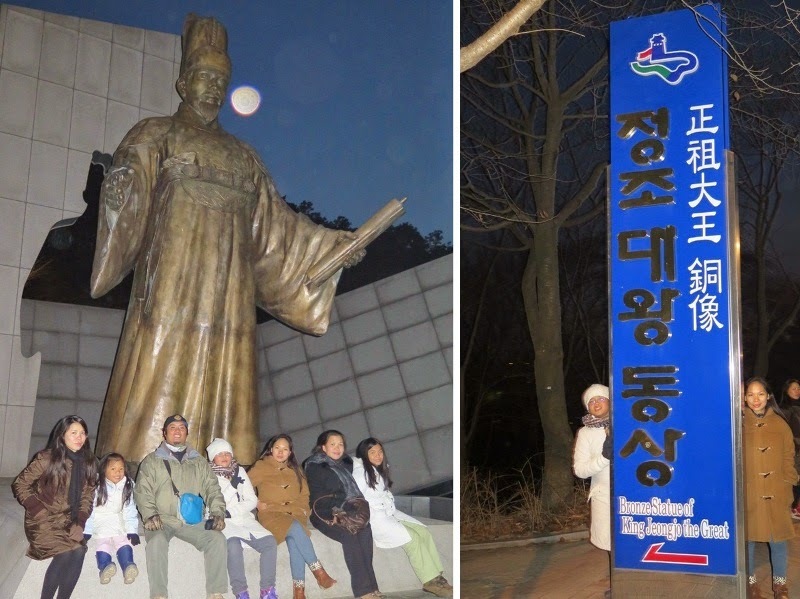 On our way down, we had a short stop at the giant bronze statue of King Jeonjo the Great. In as much as we wanted to stroll more of the fortress, the chilly weather frequented our sniffle. It was also nearing dinner and this time, the kiddos whined for food. We continued downhill passing by hardened snow along the streets. Then a playground surfaced and the kids, even the kids at heart, jumped at once; certainly, a great day one of our trip.